Being healthy is key to feeling good, and while traveling you want to feel your best. Traveling can be stressful; your routine gets derailed and your health can pay the price. Don’t let the changes throw you off; embrace them and figure out the best ways for you to stay healthy. Use exploring as an excuse to exercise. Go for a run on the beachfront esplanade, or tackle a steep set of stairs to visit a monument. Pack a good pair of running shoes, and take your phone to track your steps. Also try classes like spin or yoga at local studios. You might meet people with similar interests, and even if there is a language barrier, you can generally figure it out by instructors movements. This small investment pays off. Purchase a cheap yoga mat and bring resistance bands for an at-home work out when you don’t have time to hit the gym. Apps like Nike Training Club or Sweat with Kayla Itsines have workouts that can be done anywhere, with or without equipment. For extra weight, try using large water bottles (or wine bottles) for squats and lunges. You’ve heard this before, but it’s extra important when traveling. Of course go enjoy tapas in Spain and beer in Budapest, but while maintaining your health. One of the best parts of living abroad is merging your lifestyle with the culture of your new home. That’s why having your own flat is so important. Make healthy breakfasts at home and toss together a salad with fresh market fish and veggies for dinner. Balancing your diet is key to experiencing the delicious food of the region, and knowing what choices provide nutritious, satisfying meals. In cities across Europe (and elsewhere) markets provide easy access to fresh ingredients. There’s a reason nutritionists recommend perimeter shopping at the grocery store. 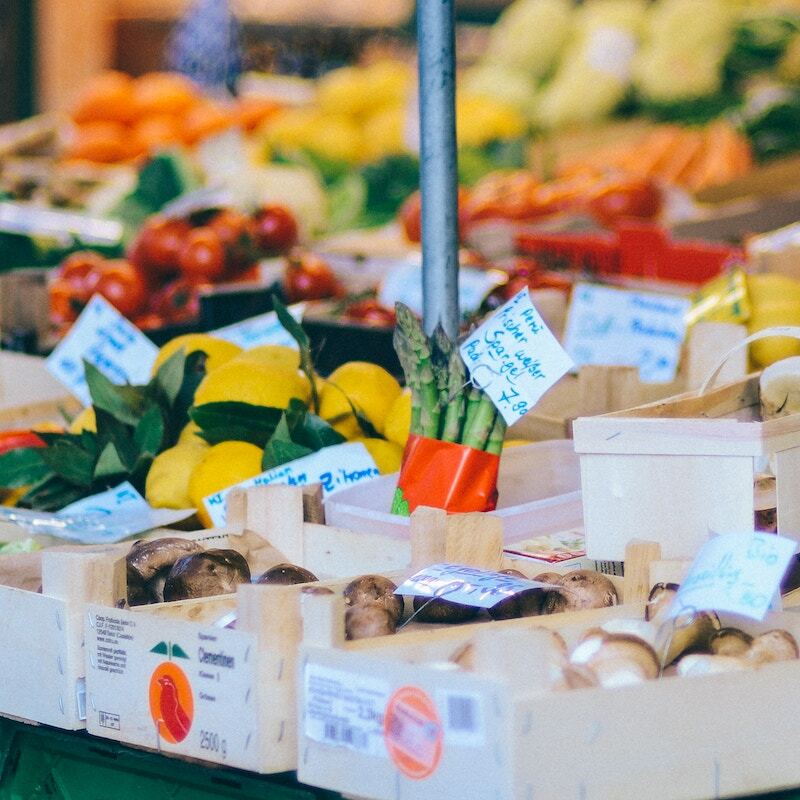 A market is the more authentic, local version of perimeter shopping, as most vendors are selling fresh, healthy, delicious foods. Your routine won’t be the exact same as at home, which is a good thing! Figure out the best time to work out, shop for healthy foods, and have time for reflection. When you book with Behere while working remotely with, you’ll be able to make your own schedule. If you’re adjusting to a warmer climate, beat the heat and go for a run in the morning. Possibly the most important, take time to reflect on your new experiences. Your mental health is as important as physical, so take time to work on mindfulness and appreciate your adventure. Take time to stretch! Before and after long flights this is especially important. After long work days as well. Five minutes of stretching can go along way so stand up, lay down, however you prefer – stretch it out! Using these tips can ensure you stay healthy, while enjoying every minute of traveling. Adapting your current routine, and making changes to suit your new environment will set you up for success. Remember, it’s all about keeping balance and staying active, so you can forget about any post-baguette regret! Behere was created for you – to help you keep your routine, and stay productive, while in new cities. Plan your next trip below, in less than 2 minutes! Written by Katie Tatham and Meesen Brown.